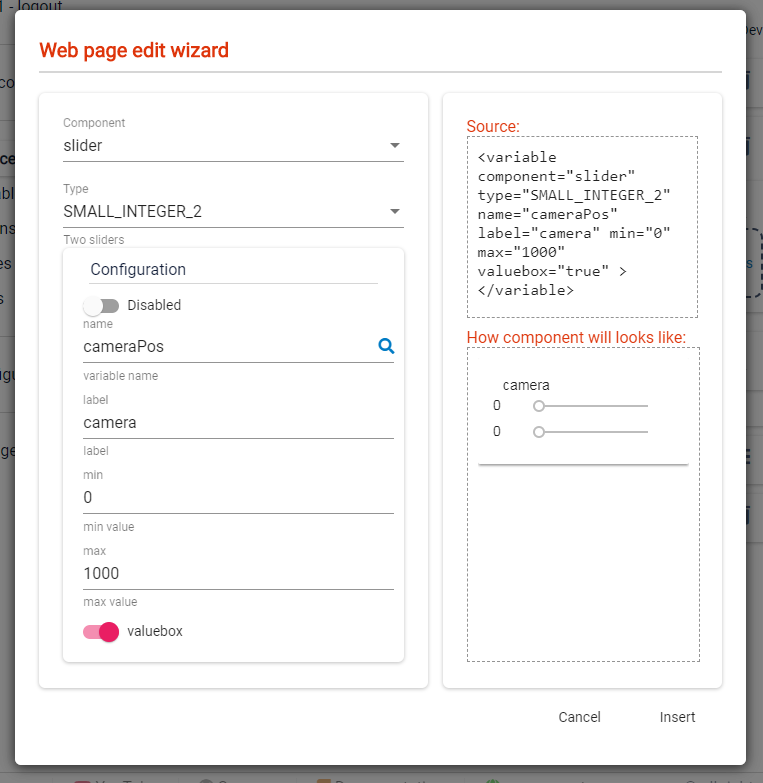 All this on the website opened in the browser (I used Chrome for both the desktop and smartphone, because it has the best support for the webRTC protocol). 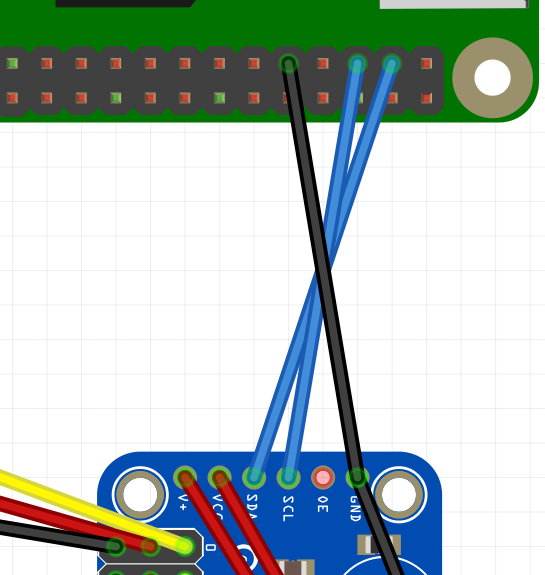 To control the servo mechanisms, we will use a 12-channel LED driver 16-bit PWM I2C compatible with Adafruit. 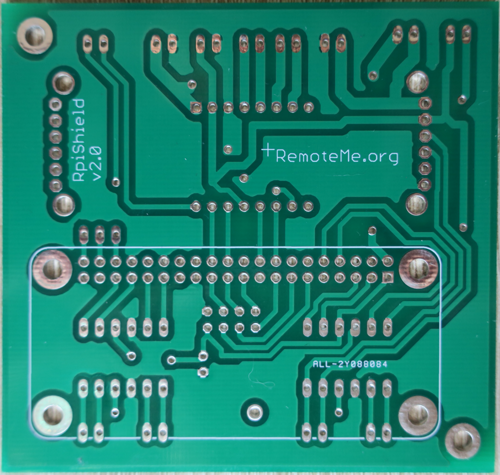 It communicates with Rpi via the I2C interface. 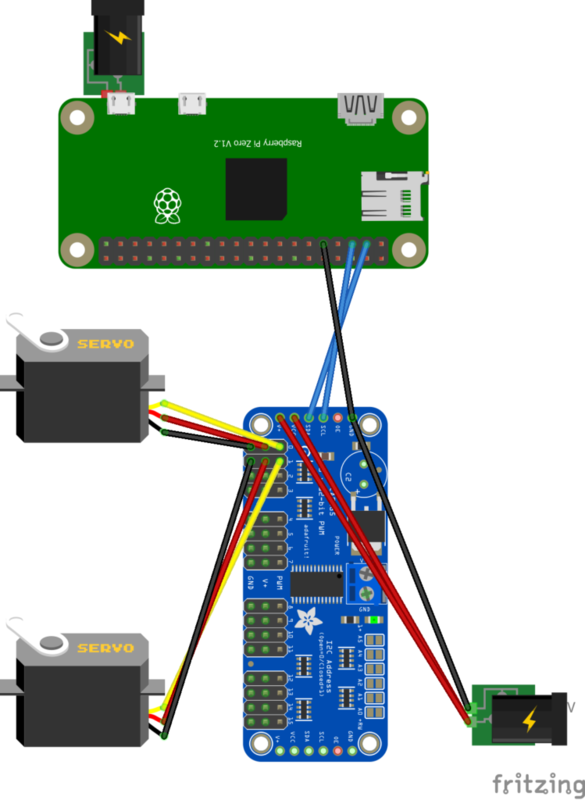 Adafruit provides a python library that works out-of-the-box, If in the second step RemoteMe installation on RPi you have chosen the [Yes] option, you have this library already installed;). 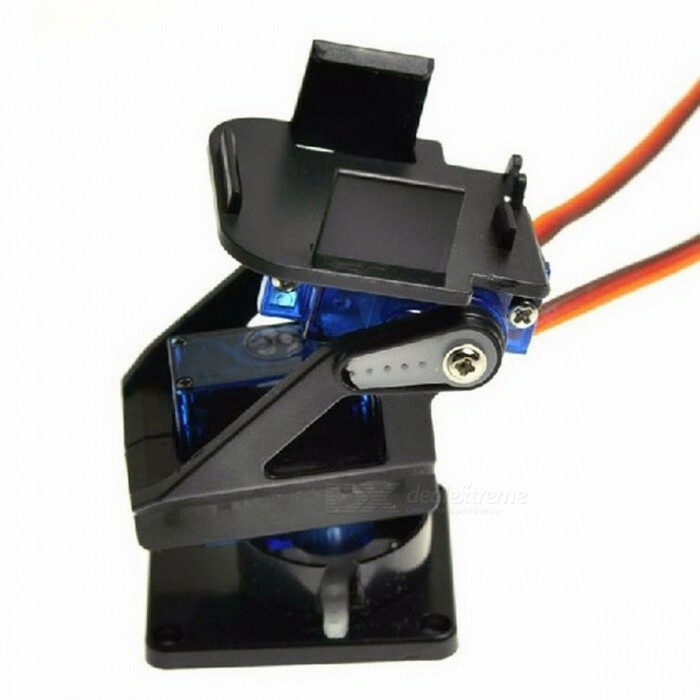 Mounting the webcam tilt handle – it should not be difficult, the only thing you need to pay attention to is the assembly of the holder, so that it looks straight ahead and what is most important – the servo mechanisms were in a central position. 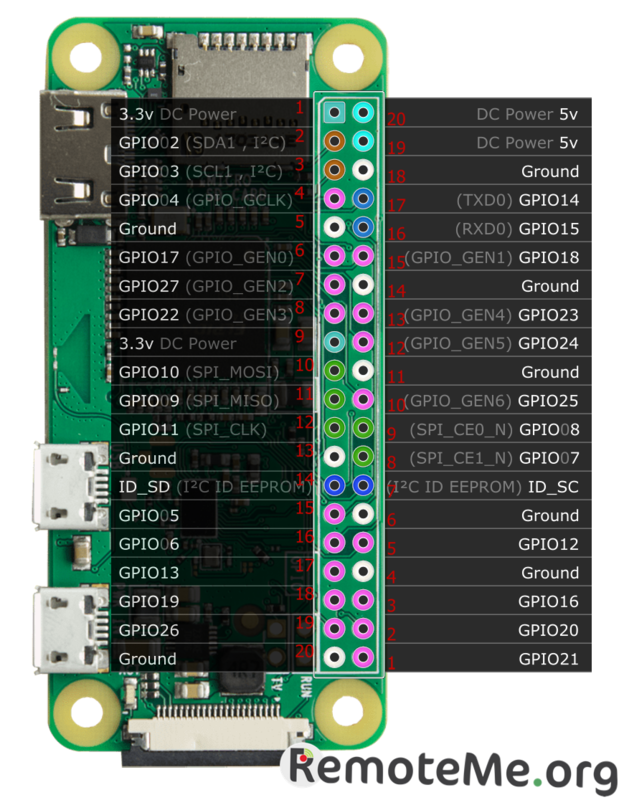 In the pictures and the movie you can see the green PCB to which the RPI and the servo driver are mounted, the files you can download from here it was designed in such a way that it can be easily performed using the thermal transfer method. 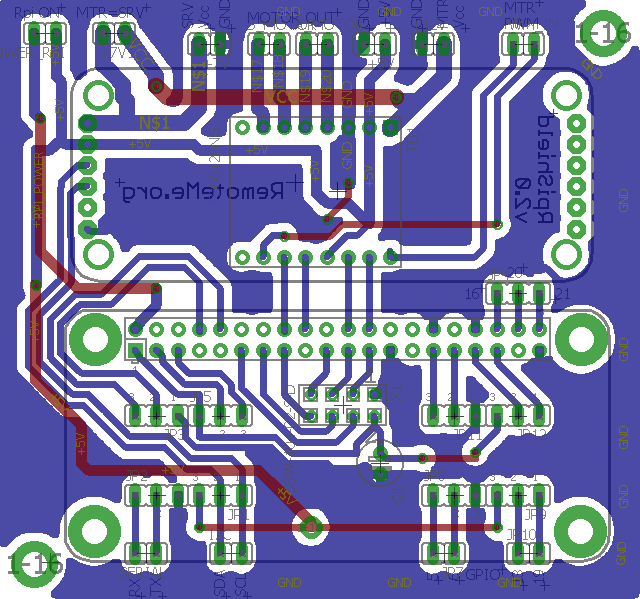 In the repository there are also gerber files for easy ordering, eg from allpcb.com where I ordered my PCB. The plate will be more useful when we add engine control to our car in the next tutorial. 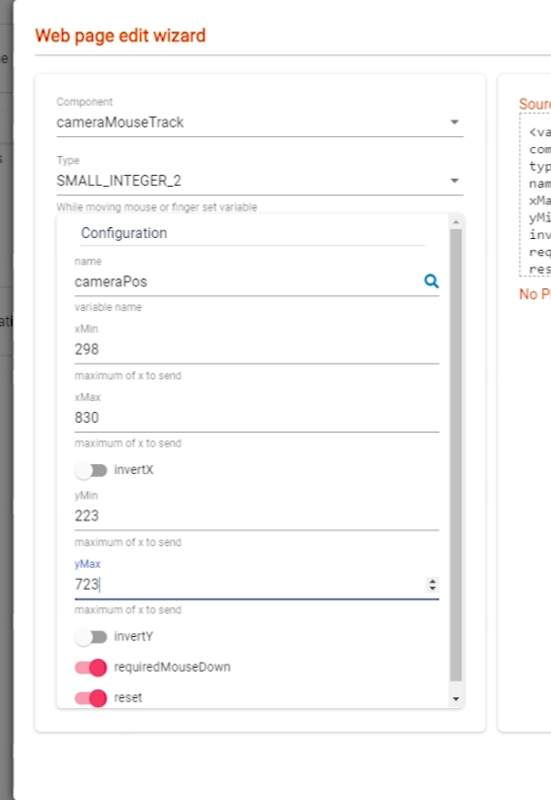 For camera control we will use a variable of the type SMALL_INTEGER_2, which sends two numerical values, one of them will control the axis x with the second axis y. Thanks to this, in the generated code we will have functions ready to be implemented to interact with our variable. 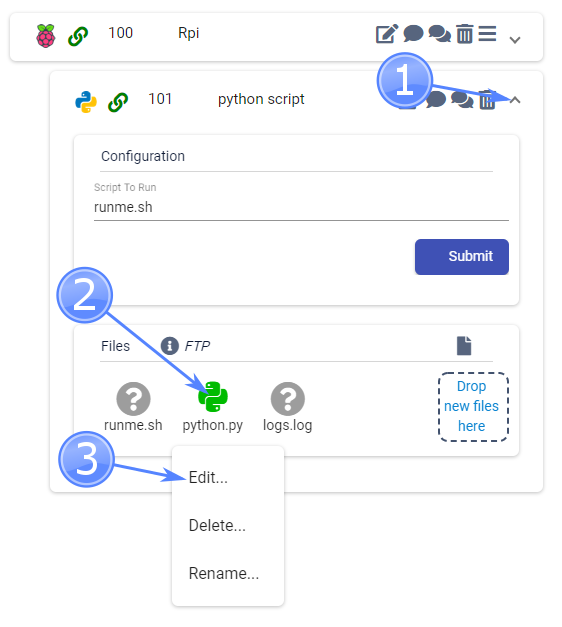 In the second step, we name our device “python” and any unused Id. 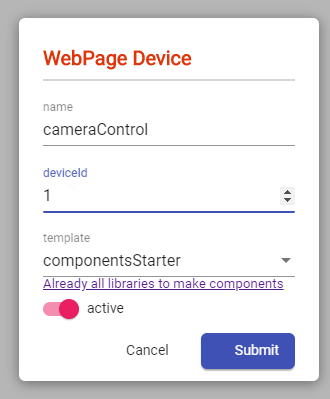 In the last step, click “Create device”. 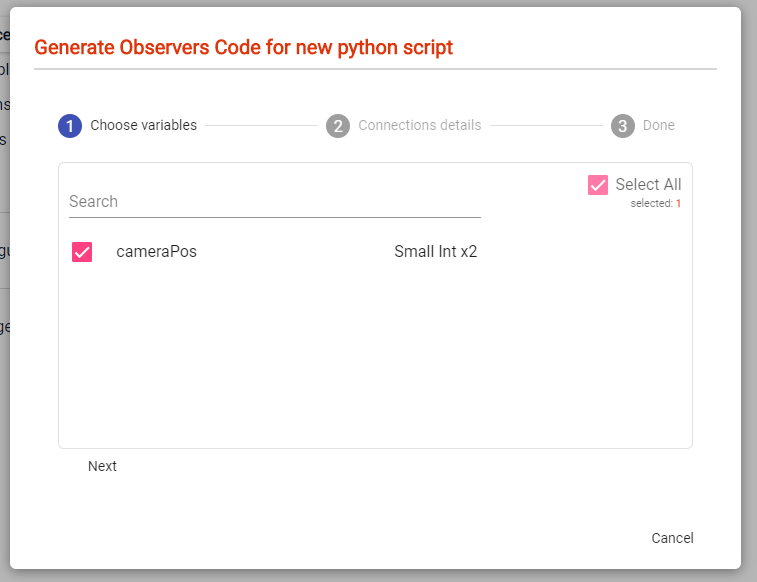 More about python devices here. 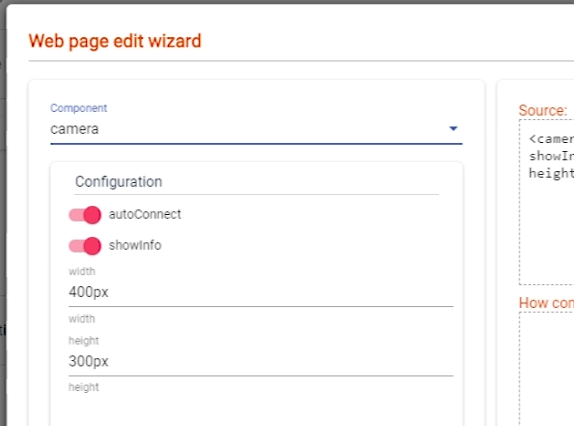 This function will be called when you want to change the position of the camera with a smart phone or computer. In the parameters, we get the values of the x and y axes, and set the servo mechanisms connected to the PWM controller at position 0 and 1. 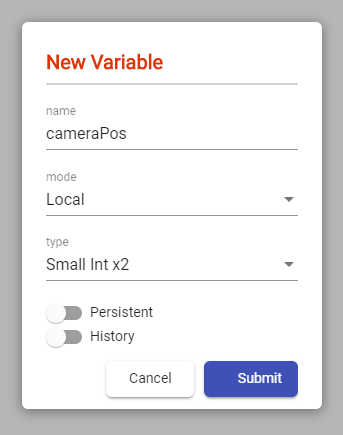 We will already receive variables, with appropriate values, for example, the value (534.234) will mean the central position of the camera – therefore we simply enter the received numbers into the server driver without formatting them. 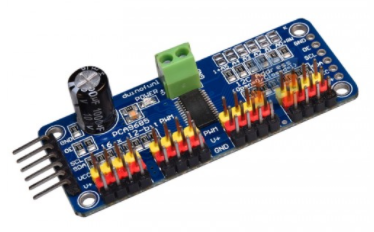 Function for PWM controller library initialization. The value of 80 was chosen by trial and error to my servo mechanisms. This function is called in the main program block. 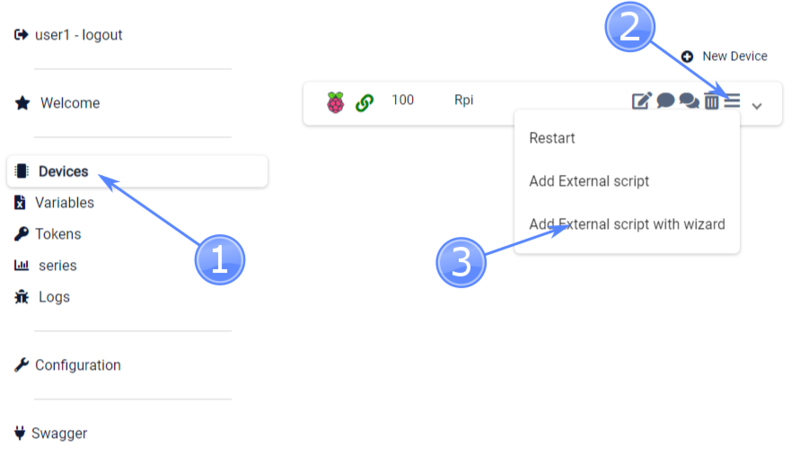 After saving the code, the program on Raspberry Pi will be reset to load the new script. Now we will add a web page with two sliders to find the central position of the camera and maximum swing. In the ideal world, the numbers would be, for example, 0.100 for both values, i.e. sending a variable of value (50.50), we would set our camera in the central position, and the value (100,100) would direct it up and right. Unfortunately, these numbers will certainly be different and we have to find them. For this purpose, we will create a website with two sliders that will send variables and we will know what are the variables. 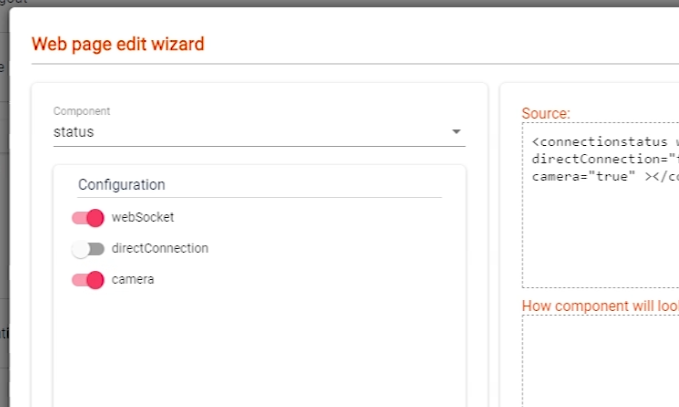 Click the insert, close the wizard window, and open the page in the new tab by clicking index.html and selecting Open in new tab. We will get our website. The first slider is responsible for the X-axis of the camera (horizontal movements – ie looking left right) and the second one for the Y axis (ie looking up, down). When the sliders control differently, we replace the servo plugs with mechanisms in places. When the servos do not respond, check to see if they have been plugged into the right place. Moving the sliders set the camera in a central position for me it is x = 564 and y = 474. Then we tilt the camera up to the minimum values for me then x = 298. y = 223. The point is that the distances between the values were the same and additionally the Xcenter value indicated the central position of the camera in the horizontal plane. 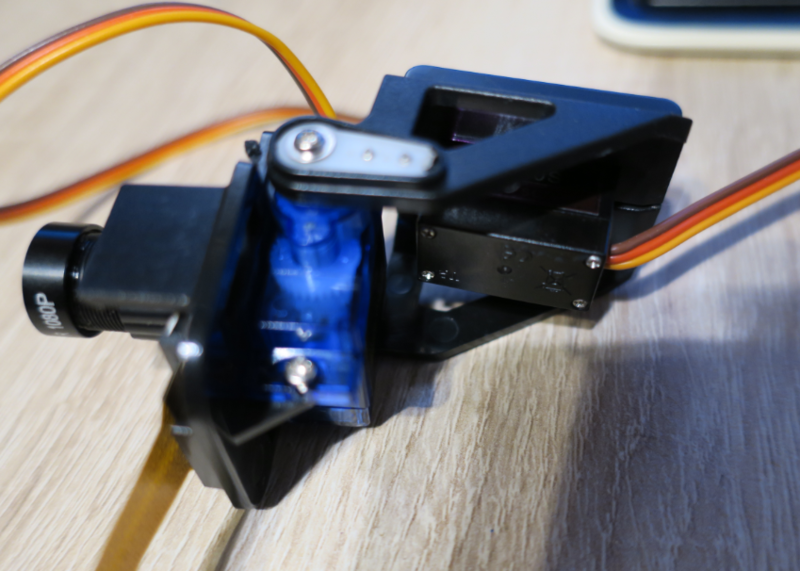 On the sliders, check if the maximum values set the camera in the right position without any problem and the servos do not block – if they block, increase Xmin and repeat the calculation (or calculate Xmin based on Xmax). Please note that I have supplemented the Xmin values with the calculated values. We open our website in Smartphone – the easiest way is by clicking on index.html -> Get anonymous Link -> click on the QR code icon and scan it with a smartphone. 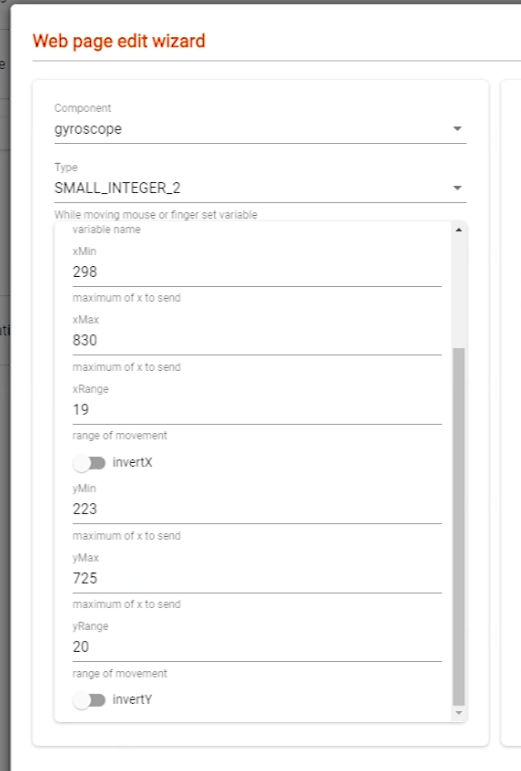 We test by sliding the finger on the screen, when the camera instead of pointing up its moving down in the component <variable component = "cameraMouseTrack" index.html change invertX = "false" into invertX = "true"
That’s all for today in the video at the beginning of the course are all steps.